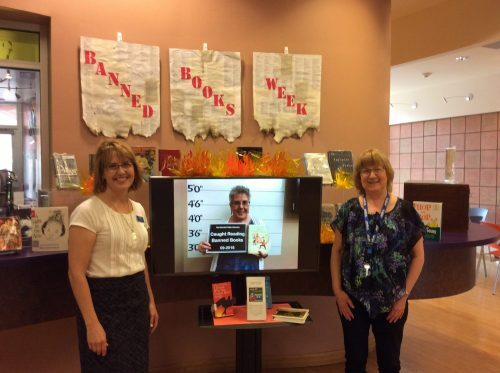 The Rio Rancho Public Library looks forward to Banned Books Week each year, where the librarians use their creativity to come up with different displays. This year Youth Services Librarian Jenny Gregg and Adult Services Librarian Kathy Campbell created a new and novel display. You can see the video on RRPL’s Facebook page at https://www.facebook.com/165415853659946/videos/241511226714138/.